... of my day so I'm blogging away today. I've been in front of my computer since early this morning doing some work both paid and unpaid. Every now and then I stop to read news online but it gets a little bit boring doing that so I decided to do some tasks instead. 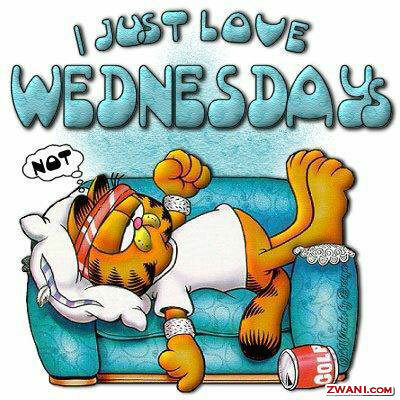 I feel exactly the same way as Garfield in that picture. I wish I can also lounge on the couch like him but I can't. So many things to do with so little time. Our boss just released some more work so I need to start doing that soon. Maybe later. Some dishes and pots are also waiting on me in the kitchen. I wish I have a magic wand so I can just do one 'swoosh' and everything will be clean...but what's the thrill in that, right?